The former Iraqi dictator, Saddam Hussein shared a confession in his last day of captivity with American forces before he was turned over the the Iraqi government for execution. He had hidden millions in looted treasures deep in a sealed sub-basement below The Baghdad Hotel, and it was still there if some enterprising urban spelunkers wanted to look for it. This confession made its way to Geraldo Rivera, who was soon convinced he knew just where to look. 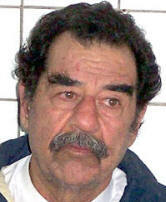 Coming soon on live TV, Rivera will open Saddam's vaults. Just what might be hidden there? It could it be gold, currency, priceless artworks, dead bodies or even weapons of mass destruction. Geraldo Rivera has been down this road before. In 1986, he put on what is still the highest rated special in American television. The Mystery of Al Capone's Vaults was two hours of live TV in which a basement under Chicago's Lexington Hotel was excavated. Rumor had it that "Scarface", as some called the notorious gangster, had hidden his loot and bodies of his enemies there. When they finally got into the sealed space, the joke was on Rivera. Maybe they had only opened the wrong sub-basement, but they found nothing. If Al Capone had used that space as a vault, he had also cleaned it out. In spite of that debacle, Rivera's publicist insists that he is going ahead with the Hussein special. There is an old saying that many nations claim credit for: "Fool me once, shame on you. Fool me twice, shame on me". 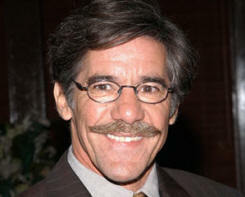 Will Geraldo Rivera be able to fool advertisers and viewers a second time? Will he be fooled himself? We will learn soon enough.